In this revealing interview with Birch Gold Group, Jim Rogers, legendary investor and author, explains just how badly Quantitative Easing and ongoing currency wars are damaging the U.S. economy, and why it’s so important for any person to protect their savings with physical gold and silver. Rachel Mills, Birch Gold Group (BGG): This is Rachel Mills for Birch Gold, and I am very pleased to be joined today by Jim Rogers, legendary investor. Thank you so much Jim for joining me. 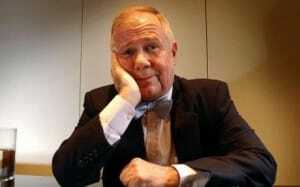 Jim Rogers: I am delighted to be here Rachel. BGG: So today I wanted to talk a little about stock market highs and Quantitative Easing and inflation and a little bit of Federal Reserve and when is the taper is going to happen and currency wars. But there is one question that I don’t have to ask you, which you get asked a lot, I know, and that is what your secret to being so prescient in the marketplace? JR: As far as I know, I’m not quite sure. I do know that I have learned over the years, always, when nearly everybody is thinking the same way that means somebody’s not thinking that means we got to start thinking about it and see if there’s not another way, another approach. Because if everybody says the sky is blue, I at least urge you to go and look out the window and see if it’s blue because I have found that most people won’t even bother to look out the window. If they see on the television or in the newspaper or something that everybody says the sky is blue, I at least urge them to look out the window. I find that most people don’t want to do their homework, that’s the first problem that many people have, is just doing simple homework. Second, I have learned that if everybody says the sky is blue and I go and look out the window and see that it is blue, I have also learned that, well wait a minute, if everybody knows the sky is blue, is that going to change? Now that everybody knows something, is it time to start thinking about “Well maybe tomorrow the sky will not be blue?” And again, most people say “Well everybody knows the sky is blue and that’s all we need to know.” No, it’s not all you need to know because another thing I have learned in my life is that no matter what we all know today, it’s not going to be true in 10 or 15 years. You pick any year in history and go back and then look to see what everybody thought was true in that year, 15 years later the world had changed enormously. Enormously. And yet in that particular year everybody was convinced that this is the way the world was. Pick 1900, 1930, 1950, any year you want to pick, and you will see that 15 years later, the world was totally, totally different from what everybody thought it was at that time. So I have learned, for whatever reason, to know that change is coming, to know to think against the crowd, that the crowd is nearly always wrong and to try to think for myself. Now, I certainly make plenty of mistakes and have made plenty of mistakes in my life, but these are some of the things that I have learned, to try to think around the corner, try to think to the future if you want to be successful. BGG: Yeah that’s right. And I read somewhere, tell me if this is true, that you were shorting real estate in 2006? JR: Yes, yes, 2006, 2007, 2008. Yes, yes. I was short Fannie Mae, I was short all of the investment banks. I was short all the banks. BGG: And I bet, were people rolling their eyes at you, were they laughing at you? JR: Oh very much so. I went on television quite a lot in those days saying it’s crazy. And I was on CNBC and I explained that I was short Fannie Mae and had been short Fannie Mae and Fannie Mae finally started to collapse. And the lady said to me, “Well it’s your fault that Fannie Mae is going down, it’s the short sellers that are causing problems with Fannie Mae.” And I explained to her, “Listen lady, if you really think that short sellers are making Fannie Mae collapse, you better get another job, because that’s not the way the world works.” Short sellers do not make Fannie Mae go from $70 to $0, I assure you, the only thing that can make that happen is serious fundamental problems. So yes, everybody knew I was nuts back in those days! And then, they started blaming it on me and on the short sellers, all of the problems. Nobody likes to take responsibility for their mistakes, certainly not politicians, but it was clear that first they laugh at you, then they ridicule you and say it’s your fault and blame it on you. Eventually they all say, “Oh, well we knew that. We thought of it ourselves! We knew that Fannie Mae was a fraud.” But that’s a difficult and sometimes painful process. BGG: Sounds like they were attributing more power to you than you actually have! JR: It’d be wonderful if all I had to do was sell something short and it would go down. Unfortunately it usually goes up when I sell it short, my timing is usually pretty wrong. BGG: I want to talk a little bit about currencies. It seems that all the major countries in the world are in this race to the bottom to devalue their currency relative to all the others to appease their export industry. Meanwhile, workers and savers are getting killed by the cost of living increases that this is causing. Do you have any observations or predictions about how this currency war is going to end, or can it continue somehow indefinitely? And who wins in a currency race to the bottom? JR: Well, the first thing you need to know is that nobody ever wins a trade war, a currency war, which is just another kind of trade war. Everybody loses in the end, some may temporarily come out ahead but it’s temporary if nothing else. As you have pointed out, the cost of living of many people is going up, and it certainly is, my gosh, in Japan you have a currency that’s down 25% in a year. Well I assure you the Japanese are feeling that because everything that Japan imports has gone up fairly substantially AND even the things that they don’t import are up because the Japanese manufacturers and the Japanese producers can raise prices because they don’t have to worry about competing with the foreigners any more. But unfortunately they never have, and probably never will. Mr. Bernanke is certainly not going to stop it, because he doesn’t want to go down in history as causing the collapse. Mrs. Yellen, when she comes in, she’s not going to stop it, first of all she doesn’t believe in stopping it, she thinks printing money is good. And she knows – I hope she’s smart enough to know – that if she stops, oh my gosh, it’s going to collapse. So she’s not going to stop. Nobody wants to go down as causing the collapse of the world. So I’m afraid this is going to go on until the market eventually says to them, “Okay, enough is enough,” we have a big collapse and then they’re all thrown out and we can start over. BGG: Wow, that’s a painful scenario actually. Do you think there is any chance that Larry Summers would have stopped Quantitative Easing at all? JR: Well, first of all it’s irrelevant because he’s not going to be Federal Reserve Chairman. Second, even if he started, you know, if somebody came in and said, “Okay, we’ve got a terrible problem, we’ve made horrible mistakes, now let’s change things.” And even if everybody in the world said, “You know, he’s right, we’ve got to do something” and they started, well, within a few months or a year or two, the pain would be pretty horrible and then everybody’s going to say, “Well we didn’t know the pain was going to be this bad, this is not what we signed up for.” And then the guy would either be thrown out or assassinated or who knows what! BGG: Oh yeah, they would blame everything on whoever stopped the party. JR: Yeah. At first they say “It’s fine, we want to do it”, but once the pain comes, the pain is going to get pretty serious. We had Mr. Volcker who came in, was told “stop the madness” back in the 1970s and he did. Well, Jimmy Carter got thrown out, because he was who had told him to do that, because the pain was so bad. Reagan of course thought it was wonderful, that pain was taking place because that got him elected. And it was help to clean up the problems. That’s what happens, you cause the pain and they throw you out. BGG: So, you don’t think there is any way they’re gonna make good on their threats or promises to taper? JR: They might, no I don’t. They might start, as I said, somewhere along the line they’re going to start doing it. But when the pain gets pretty serious, the lady or the person or whoever it is, is going to have real problems. Let’s say that in 2015, Yellen says, “We’ve got to stop this” and they start stopping it, well, at that point it’s going to be pretty serious for the parties in power and they’re going to get thrown out and the next guys will continue to taper because, as I’ve said, they got power because of the tapering and the problems, and they’ll clean up the problems. BGG: What tip-offs are you looking for for where the top of the market is and when would you start to see the collapse coming? Are there signs that you’re looking for? JR: Well, I wish I was that smart or it was that easy. Back in the late 1970s, Mr. Volcker was told and he came in and said: “I am going to kill inflation because Mr. Carter has told me to.” And Mr. Carter was very clear that he had to stop inflation. I doubt if we’ll have that kind of scenario again but we would think, we would hope, that the Federal Reserve will announce, you know, that they publish their numbers so we can all see what’s happening. At the moment they are buying a trillion dollars a year – that’s a trillion with a “T” – of assets. Eventually we will see that they stop that if they do or slow it down. What will probably happen is that they will slow it down at first to see what happens, and if things aren’t too bad at first – and they probably won’t be too bad at first – well what is likely to happen is they will slow it down, things will drop, and then they will rally and the Federal Reserve will say “Hey, this is not so bad, we can do it.” And they’ll cut some more. Things will drop again and then rally, because it will take a while for people to really believe how bad it can get, or will get. And so eventually they will try to cut [QE], it will finally cause the collapse, at that point we will have a big change, because they will throw them out, whether it’s the politicians or the central bankers or whoever … will continue because they like it, they got the job because of the collapse and then we’ll finally start over. But it may be really painful in the meantime. BGG: Sure. And when we do begin the process of starting over, whenever that happens, it will be really good to have something substantial, something real, something other than paper in your portfolio. And that’s what Birch Gold is trying to help people figuring out how to do. So, we’ve always said that precious metals are a type of insurance for the long term. I read in your interview in Barrons that you are holding gold right now and expecting maybe a buying opportunity to come up. Do you still feel that way? JR: Yes, I’ve owned gold for many years, I’ve never sold any gold and I can’t imagine I ever will sell gold in my life because it is somewhat of an insurance policy. I hope that my daughters own my gold someday, I mean I owned gold, I’ve never sold any gold and if gold comes down and I expect it to go down, doesn’t mean it will, I’ll buy more. I’m certainly not going to sell. BGG: Right. So what advice would you give someone who as of yet has no precious metals in their portfolio right now? JR: Well, everybody should own some precious metals as an insurance policy. So if they don’t have any right now, I would urge them to go buy something, buy themselves a gold coin if nothing else, and see that it’s not going to hurt. It won’t hurt you to buy the first gold coin, the first silver coin, and from that you start accumulating as your own situation dictates. BGG: Yeah. How do you feel about silver? Do you favor silver over gold? How do you feel? JR: Well, silver is historically down 60% from its all-time highs, so yes, I would prefer silver at the moment because gold is down only what, 30 or 40% from its all-time highs. BGG: Well, thank you so much for talking with me today. I think we will leave it there. 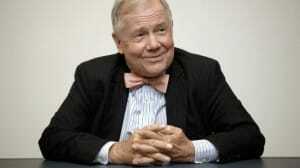 Thank you so much, Jim Rogers. JR: Thank you Rachel, anytime. Let’s do it again. BGG: I would love to. BGG : Bye, thank you! To learn more about Birch Gold Group and how to protect your savings with an investment in physical precious metals, visit our homepage at www.birchgold.com.